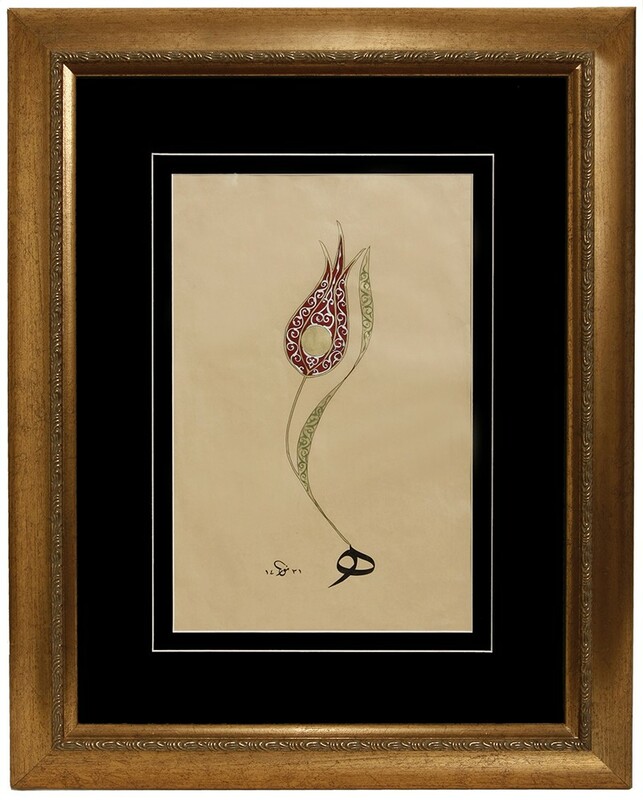 'Hu Allah' Calligraphy in the form of Tulip is hand maded by artist Yüksel Aslan. 22 carat gold is used. 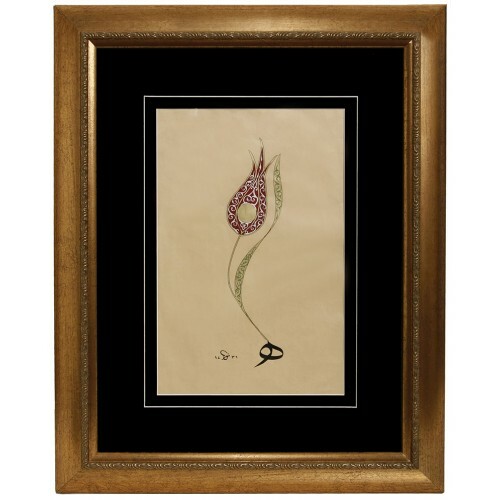 Dimensions: Width: 37 cm, Length: 48 cm.